Varetsa Studio Art Class was exactly what we were looking for our 9-year-old daughter Eva! She really loves these Saturday Mornings! Eva have enjoyed Lilia’s teaching and benefitted from her individual attention. The class works very well in a relaxed atmosphere and there is a very friendly and co-operative feeling amongst the student and the teacher. Lilia is generous with her advice and very encouraging for novice artists from beginner to advanced level. As a mother, I can say that this class is an excellent foundation for future progress of a student and for the future of my child on the whole. The Lilia and Valentin's studio gives a real artist's studio impression to a student, therefore my daughter already feels like an artist, not like a student. Working amid amazing Lilia and Valentin's masterpieces is additional encouraging factor for students to develop and improve their skills. I wish Lilia and Valentin that Muse will live in their life forever, and number of talented students who come to their studio will be endless. 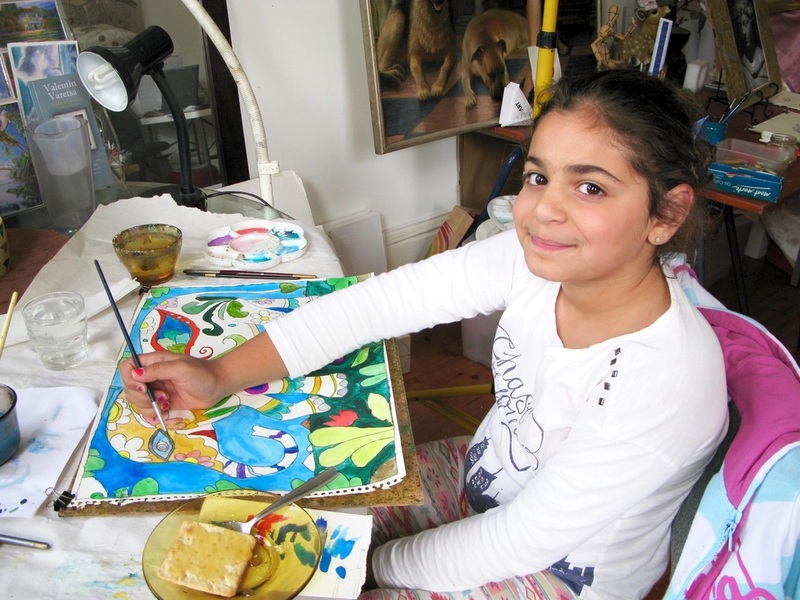 The great thing about Lilia's classes is that she can tune in instinctively with enthusiasm and real knowledge to development both beginners and advanced painters are looking for in their work and this is no mean trick. Attending small group classes by Varetsa Studio Art Class is always a pleasure and you cannot help but come away with confidence in your work. I found Lilia to be a knowledgeable and approachable teacher. She was able to give me useful and perceptive advice on my technique, composition and use of colour. The class size was small and I received individual attention and constructive criticism during the day. Three classes were not enough so I have decided to enroll in six sessions next year! My 9 year old daughter has been loving the art classes. I've been really impressed by the standard of work she has been bringing home. She has created work in paintings, charcoals, pastels and I highly recommend these classes for any kids to get a really good grounding in art.We have done art classes before, but they haven't come close to Varetsa Art Studio – these classes really teach kids how to work with different mediums and about basic art principles.Great art classes!